A look at some of the trailblazers. Monday is Columbus Day and this might be a great time to look back at the tech heroes that have made this country what it is today. There are just 10 on this list and there are many more that this country has produced. I guess this is a bit of a subjective list, but fairly accurate nonetheless. As a space enthusiast, I had to go with the father of the United States program even though he was an immigrant from Germany. The space program owes a lot to him and his imagination. America has been propelled to greatness by some visionaries who have been around since the time of the "First American" Benjamin Franklin. He is well-known for his electricity experiments. We all know what benefits the space program has brought to us and there is a lot that this U.S. astronomer has done to help it. Her observation of stars led her to a way to measure the distance to any thing in the universe. He was probably the most prodigious inventor having almost 1,100 patents. Motion pictures, the typewriter, the photograph and the light bulb were created by this American businessman and inventor. 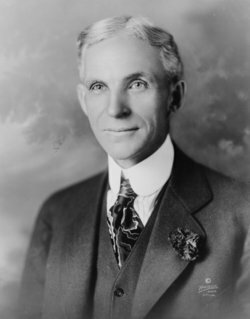 When talking about American businessman, it is not fair to leave out Henry Ford who is always looked upon as a pioneer with his introduction of the assembly line. He was one of the richest Americans to have ever lived with a net worth of $188.1 billion in today's dollars. Here at tech week, it's the innovations and new technology that translates to the most dollars that get props. Einstein did become a U.S. citizen in 1940 and I had to include him here because his name has become a synonym for genius. Moreover, it is physics that has led the developments in technology. Most notably the internet owes its existence to physicists. Google is a word that has come to stay in the English language and also to dominate the internet. The pair met at Stanford and went onto found a company that has transformed the world we live in from everything from work culture to the knowledge we gather. It is true that Zuck might have executed an idea that already existed better than most, but as Time's Man of the Year in 2010 and having a social network with over 1 billion users despite the less than successful IPO, the Harvard dropout belongs on this list of America's top tech visionaries. From one Harvard dropout to another. Gates might be hated and reviled, but as the world's richest man for the majority of my lifetime, I can't do anything else but admire him. Jobs is the modern-day genius that most young kids could relate to. His work ethic and eccentric personality makes him a very interesting innovator to study. His innovations at Apple will make him live on forever.